Where can we find hope after the 1.5° UN climate report? 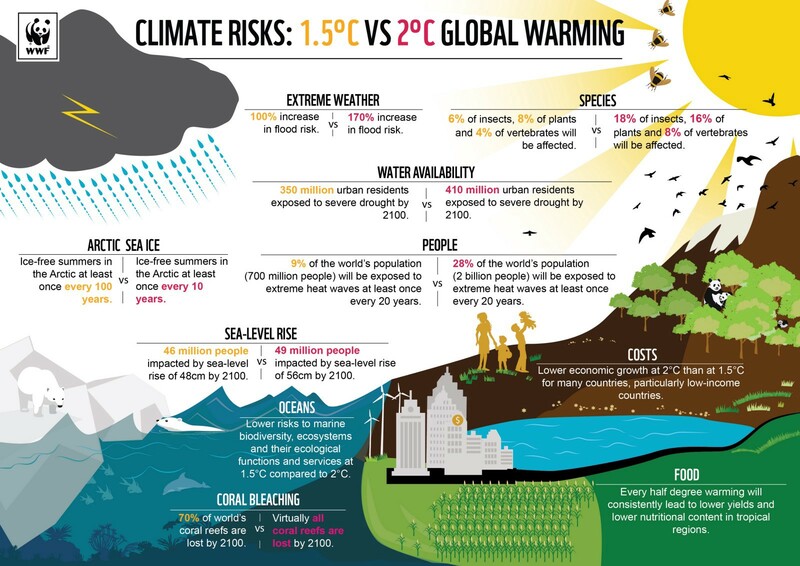 What comes next after the momentous Intergovernmental Panel on Climate Change (IPCC) Special Report on Global Warming of 1.5°C? Scientists are getting attention for saying more directly what they’ve long known. The report’s encouraging message is that with enormous effort, we can still limit global warming, not just to the under 2°C Paris Climate Agreement goal but to the “aspirational” 1.5°C limit threatened island nations pleaded for. And Christiana Figueres, who got all nations to agree on both, says how we can do it. This time, scientists haven’t worried that telling the truth would scare or demoralize people. 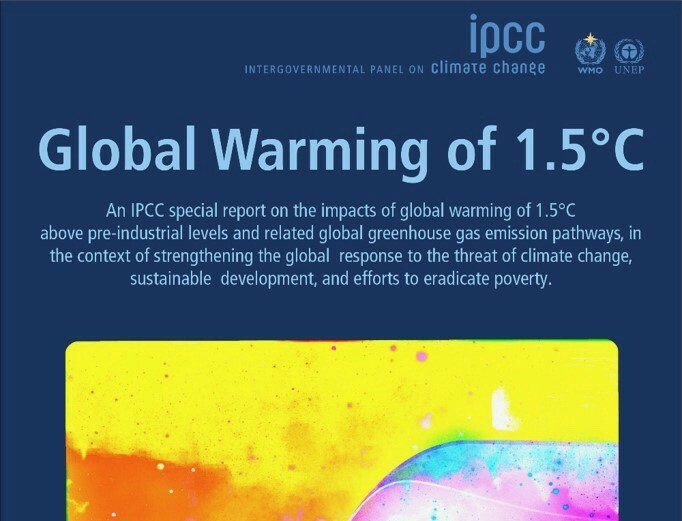 While the report emphasizes how much better a 1.5°C world will be than 2°C, it also includes vivid details showing how even a 1.5°C warmer world will be unlivable for uncountable millions. (It still skips over some possible side effects, mentioning only polar “tipping points.”) One example: our world’s coral. At 2°C, it will “mostly disappear.” At 1.5°C, we’ll still lose 70–90%. Coral reefs aren’t just for tourists. Fish for billions of people depends on coral’s diverse ecosystems. Less bad is always preferable. But how can we bear to offer that future to today’s teens, who’ll be 95 in 2100? Unless you have a technical background, don’t try to read the Summary for Policymakers. For more, here’s a link to the press release or read the news story below and many others. Think of the carbon dioxide in our air as water in a bathtub. The tub’s already dangerously full. Of course, the first thing to do is stop adding more water. But let’s open the drain much more to lower the level! The report emphasizes uncertainties and concerns. But undaunted researchers are modeling pathways for it. And some engineers are gearing up. Instead of figuring out how to store carbon as waste, pioneers are even finding ways to use removed carbon as a valuable raw material for concrete and other products. The world’s scientists map out scenarios for modeling, research and action. 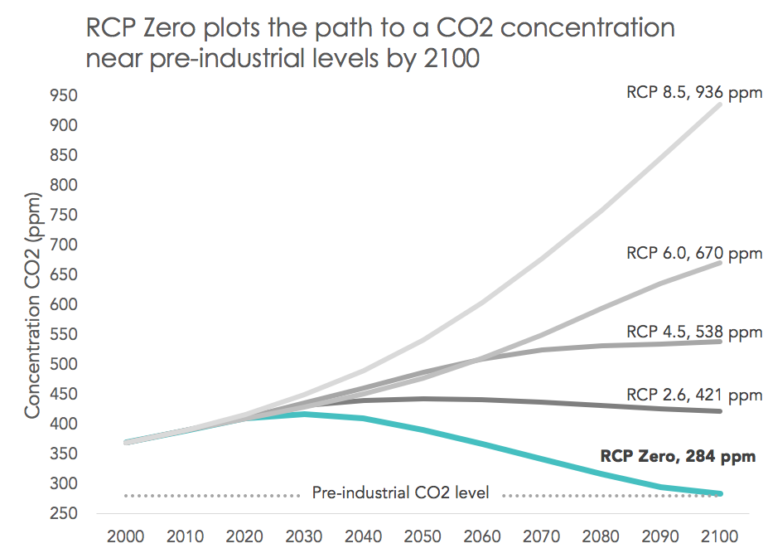 Just a year ago, the Healthy Climate Alliance introduced for discussion an outcome better their current best-case projections of future “representative concentration pathways.” (We’re now at 410 parts/million. People actually say there’s no business model to fix our climate! The best-selling Drawdown book has 80 solutions and 20 “coming attractions.” Some can scale to remove over 10 billion tons/year of CO2. Why not encourage entrepreneurs everywhere to work on climate restoration startups? A fraction of Figueres’s $1 trillion/year cost to stay under 1.5°C can start us on the goal to give our children a climate as healthy as our grandparents gave us. Talk to everyone about changing our climate goals to reversing global warming and restoring our climate. Persuade international organizations to model the 0°C goal. Identify and finance promising and scalable carbon removal and climate restoration solutions, teams, projects, and startups. Work with countries that will quickly permit safe and monitored tests of solutions. Carefully demonstrate and monitor the most promising biological and chemical approaches, both natural and technical. Evaluate and proclaim results and develop financing and deployment plans. Public enthusiasm and hopefulness can then lead to global cooperation and coordinated action to restore a healthy climate. The icing on the cake? We’ll bring millions of jobs, clean air and water, food, and renewable energy to people everywhere. We’ll be on our way to an abundant world for all, accelerating the progress we’re already making towards the UN’s 17 Sustainable Development Goals. Imagine one day looking back at how this report sparked a broad recognition that we can go beyond avoiding the worst consequences of climate change. We know the world is a miraculous place and humans are amazingly inventive. Let’s reset to inspiring and ambitious goals! Felix Kramer is a writer and an ex-entrepreneur who’s been able to volunteer on cleantech and climate change awareness and solutions for a long time. He led the successful crowd-created campaign to get automakers to mass produce plug-in hybrids, declaring victory with the Chevy Volt. He edits the just-launched ClimateChangesEverything.org to bring you resources, and connections to help you get your hopes up about our future. And stories about how people are making reversing global warming and restoring our climate their ambitious goals.